Cubes, approximately 3.5mm from hole to hole and 4mm from corner to corner. 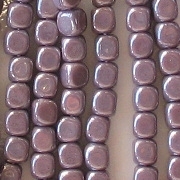 Opaque grayish lavender with a luster coating. 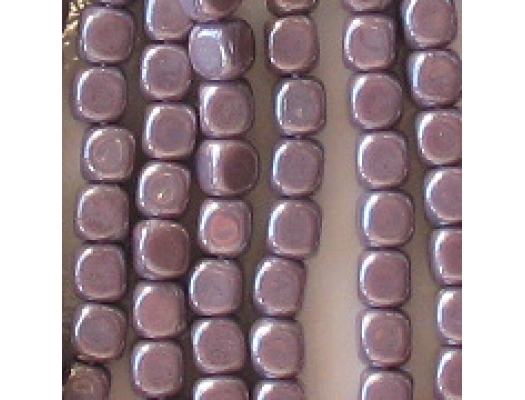 The beads appear to be in good shape, but an occasional bead may be misshapen. 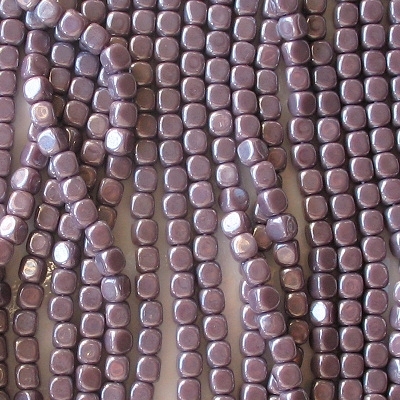 As you can see, these beads are a very gray lavender. I don't know why the Czech manufacturers can only make lavender in a gray hue.